OnePlus 3 Specs & Pricing Revealed Ahead Of VR Launch Today! Based on the inputs shown on Hindustan Times, we have written this article. OnePlus, the leading Chinese smartphone manufacturer, is all set to launch OnePlus 3 flagship smartphone today (June 14, 2016) in a widely talked-about virtual launch event that’ll start at 10.00 pm IST. The rumors about OnePlus 3’s internal memory and many first-time features had earned it enough attention lately, but the real job was done by an advertisement in a leading daily that leaked its price and specs on Tuesday morning. The ad in Hindustan Times hasn’t left much for the user imagination as people already know most of the features of OnePlus 3, including the fingerprint sensor (unlocks within 0.2 seconds), 64GB storage & 6GB RAM, 16MP front & 8MP back camera (Yes, we are as shocked as you), and Qualcomm Snapdragon 820. 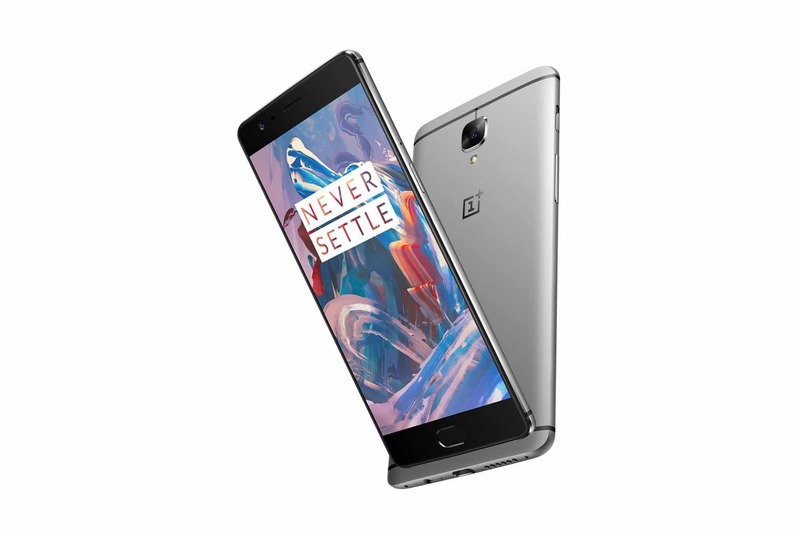 Apart from these specifications, OnePlus 3 also has something called DASH Charge, Optic AMOLED display, and Smart Capture. As per the leaked details in HT ad, OnePlus 3 is priced at INR 27,999 or $416. Even though the information about OnePlus 3 price is quite clear, users are not sure whether this price is for the base model or the premier one (assuming OnePlus follows Apple and launch multiple models in the Indian market). Previously, OnePlus opted for the invite-only model to sell its smartphone units. Although it kept the excitement among users intact, the overall revenue of the company was affected. Now that the competition among smartphone manufacturers in the Indian market has touched all new heights, OnePlus doesn’t want to take any risk. It has decided to dump the invite-only model and sell OnePlus 3 through Amazon India to cater larger audience. 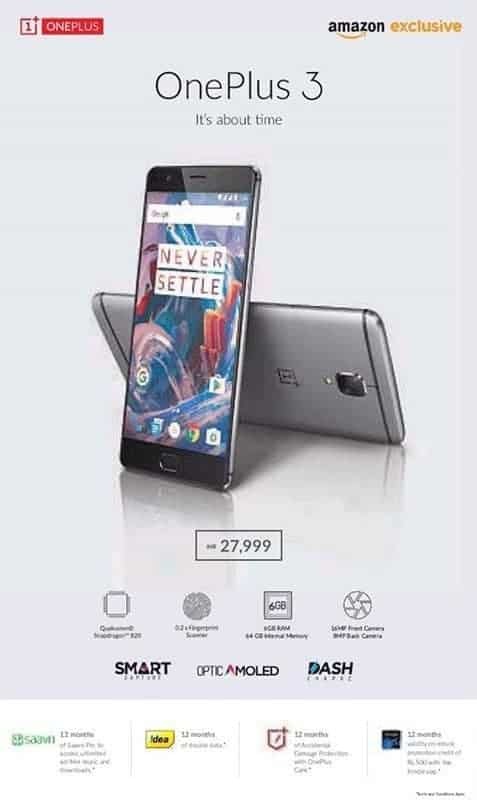 In order to add extra value to users’ investment, OnePlus is also offering some add-on offers, including 12 months of double data facility for Idea Cellular subscribers, 12 month subscription to Saavn, INR 500 credit for buying Kindle eBooks (validity 1 year), and accidental damage with OnePlus Care for up to 12 months. Those who are interested in watching OnePlus 3 launch event live, can download an android app named “OnePlus 3 Launch: The Loop” from Play Store. The OnePlus 3 launch event will start at 10.00pm IST (12:30pm EDT). In an attempt to give the first global VR shopping experience to users, the company will put OnePlus 3 on sale via The Loop app for first two hours. Post that; OnePlus 3 will be available for sale via Amazon India and OnePlus official website. Throw in your comments in the comment section if you have any query about OnePlus 3 official launch.